medical teams, pharmacists and experts. 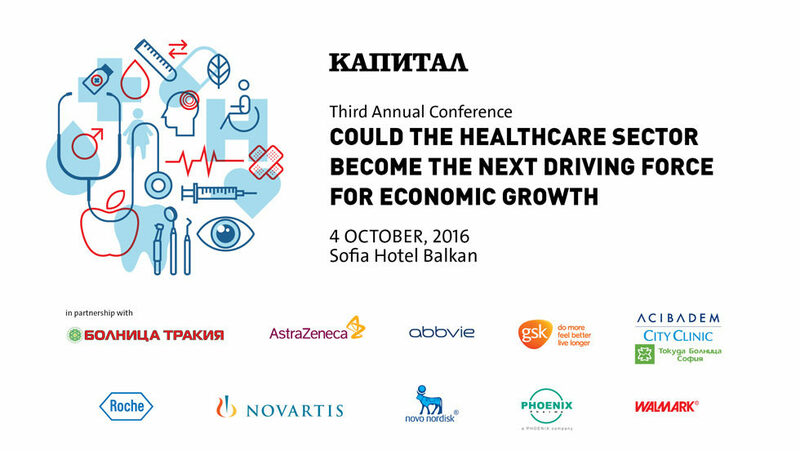 Can Bulgaria rely on the healthcare sector as a major economic growth factor, and how? How can we attract investment in the health sector, medicine manufacturing, clinical trials, education and development and what is the return? These are the highlights of the conference’s new edition. 300+ participants, health authorities - Ministry of Health, National Health Insurance Fund, Ministry of Finance, Bulgarian Medical Association, representatives of major political parties, managers and representatives of medical facilities, physicians, business representatives, pharmaceutical companies, branch organization representatives. Participation fee: 52 EUR, VAT excl.